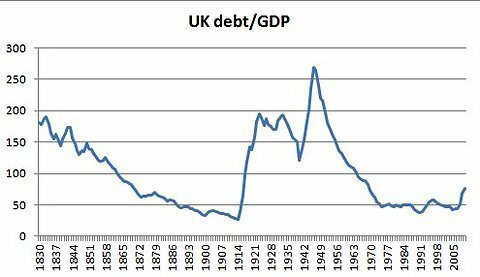 The below chart shows government debt as a percentage of GDP (a measurement of the wealth of the economy) plotted over time. Note that historically debt now is very low. They say a picture is better than a thousand words. This pictures shows why austerity is not needed.